During the WAR years, COAR had as many as 6 fulltime farmers on staff who tended our fields. Although COAR sits on the side of a small mountain ridge, it is actually quite possible to farm on the side of a hill. Today, while effective cost-cutting strategies have eliminated those positions, the COAR school, working with COAR Children’s Village has begun an official program on sustainable farming. The students have begun to reclaim land from the surrounding hills. 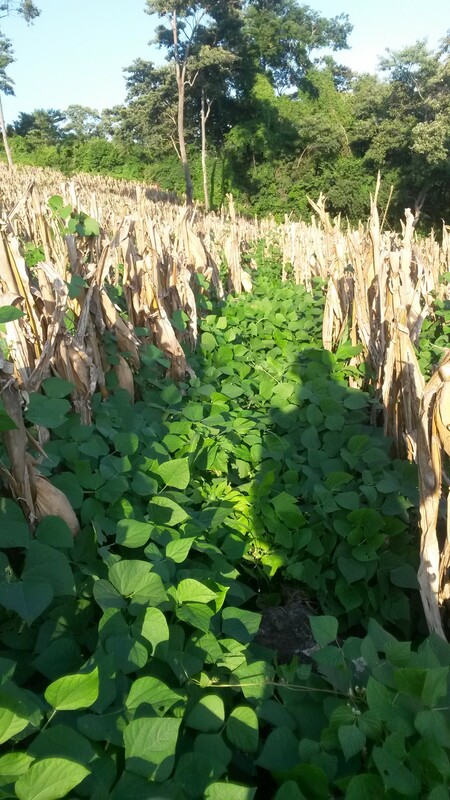 Bit by bit, under adult supervision, the kids cut back the wild brush and turn the soil to make suitable farm land. While we have always been blessed with mango and papaya trees throughout the property, the students are now planting: corn fields, rows of lettuce, peppers, onions, and squash. 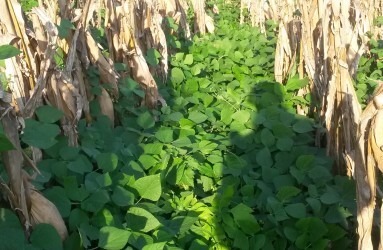 The classes manage the process from clearing the fields, through planting, watering, maintenance and harvesting. During the dry season, the kids have learned to attach 2 liter Coke bottles to poles, invert them, creating a drip irrigation process which keeps the ground directly around the plant moist even when rain may not fall for days or weeks. After harvesting, the school uses the fresh produce in the cafeteria; extra products are given to the housemothers for use in the Children’s Village and if there are any extra items, they can be sold to the public to reinvest in the program for the next season. Each year, COAR reclaims more and more land from the overgrown mountainside. COAR’s sustainable farming program is but one piece of a larger government sponsored program to diversify the curriculum, engage the students outside of the traditional classroom, keep them safe on school property & away from the gang pressence on the street and introduce them to a whole new world of career and work options. COAR currently offers programs in Sustainable Farming, Clothing Design, Cooking & Baking class; Computer Maintenance and Repair; Music and Art. As you read about the ever-growing gang influence in El Salvador, you now know of 1 program that was designed to keep the kids in school and out of the gangs. Your support of COAR, helps to keep this initiative going! 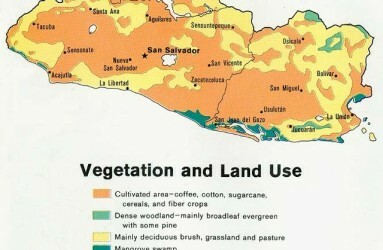 The growing season in El Salvador tends to run from June-December. There is hardly any rain at all in the country from December through May. In June, the rains begin to return with August being the wettest month. Often, it can rain every night which creates a true flash flood emergency for the poor and those families living in the low areas and near dry stream beds. 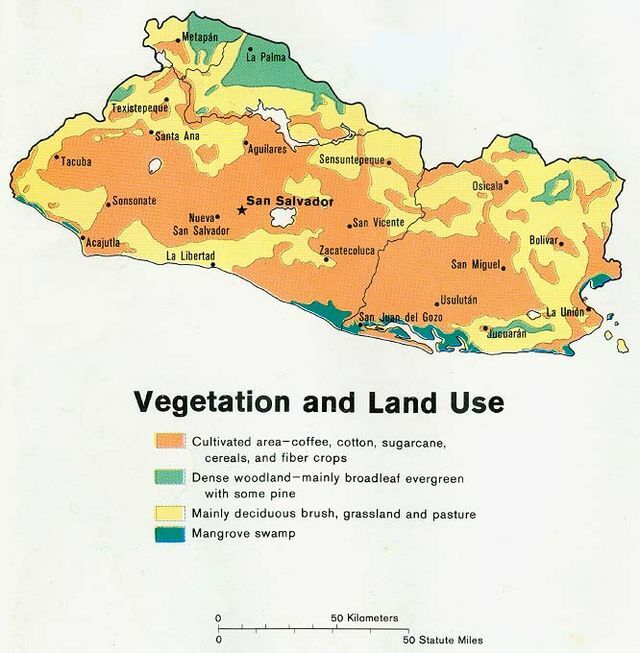 By late September, all of El Salvador is in bloom from the abundance of water. Fruit and vegetables ripen as the Salvadoran summer approaches (Nov-April). In the past, when coffee plantations employed most of the country, coffee harvests began in November and ran through January. In the 1970s, coffee production accounted for 50% of the country’s GDP. 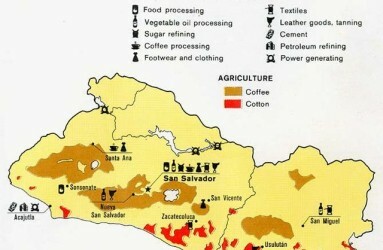 Today, it is less than 3.5% We see this historical influence today in El Salvador. The school year runs from January 15th until the middle of November. Schools traditionally let out by mid November so that kids can join their families for the harvest. While the economy has changed and few people are employed through traditional farming, the school year hasnt changed. Christmas vacation in El Salvador falls in the middle of their ‘summer vacation’ which is quite a difference from the American system which sees a long vacation June-August (traditionally our farming season) and 2 weeks around the Christmas holiday.